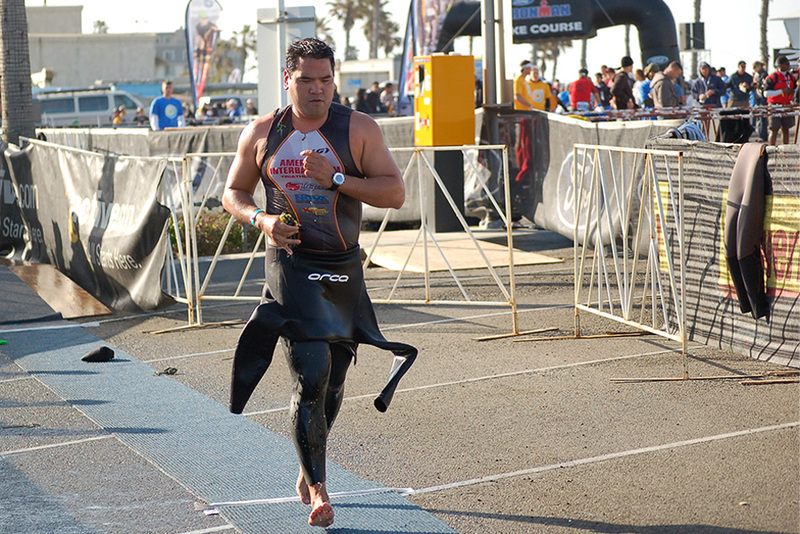 For those that don't know for 4.5 years I trained and raced in over 20+ triathlons three of which were Half Ironman's (1.2mi swim, 56mi bike 13.1mi run), I ran in two half marathons with a PR of 1:35 (7:18 avg) and biked in three different century bike rides (100miles) . Needless to say I was dedicated to my health and fitness, I weighed in at strong 207 to 215 for most of those years. Then about 3 years ago I injured my lower back while training, but never took the time to let it heal properly and so instead going to rehab I decided to stop training hard and continue eating like I was still burning thousands of calories each day. In the end, that just didn't work out in my favor. Here are a couple of shots from my Tri days. For the past couple of years I've attempted to get back into the sport by trying to do the the same things I use to do when I was training hard. I started several times to run and swim, but it was never the same and the excitement lasted maybe a week or two. The level of fitness and the mindset I was in when I was training was not normal. It was a completely different mentality that was happening, which is in my opinion is VERY HARD to replicate once you are no longer at that level. So having said that, today I consider myself very overweight and not very healthy. I'm pushing the 250lbs mark and although I don't look that weight I sure do feel it. It's gross, it's not easy and my clothes are starting to not fit right. After really thinking about it, my attempts to get back into shape should have started with my diet FIRST. If I could loose some of the initial weight then maybe it wouldn't be so hard on my body to run 4-5 miles, maybe my feet and knees won't hurt so bad after, therefore not getting discouraged? Ding ding ding!!! So the one thing that put me in this position has to be the one thing to get me back out of it. That is to eat better, I believe today that is the route I now need to take before I can start working out heavily. BUT I hate diets and I LOVE food, how is this going to work? I think the word "diet" really can put a damper on things for one, so what I really want to do is just change my eating habits/portions and make smarter decisions on what I give my body. 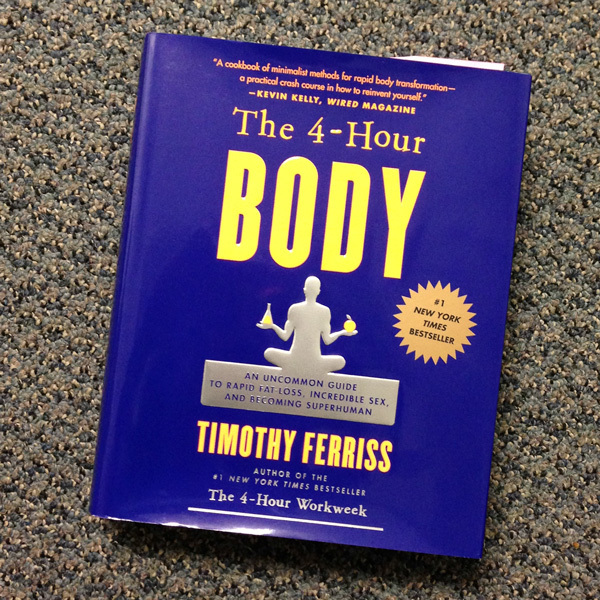 I have decided to follow the slow carb diet by Timothy Ferriss and his book The 4-Hour Body, the same author that introduced The 4-Hour Work Week. Why the 4-Hour Body you ask? I've just read really good things about it and there are a ton of success stories. Now after reading the book, I feel it's something that I can do and not out of reach. Yes, I will be out of my comfort zone because fast food and fatty foods are just so good and easy to get my hands on, but my health and being there for my family is much more important to me PERIOD. I will be talking about the diet as days pass, if you are interested now, I recommend to buy the book. Now that I am back from vacation, I have decided that today I am going to start implementing the info from the book, I am going to start making the better decisions and like the book says I can hopefully loose up to 20lbs in 30 days without even exercising. But knowing me, I will have to at lease go the gym once I start seeing the pounds drop. Soooo here I go, wish me luck!